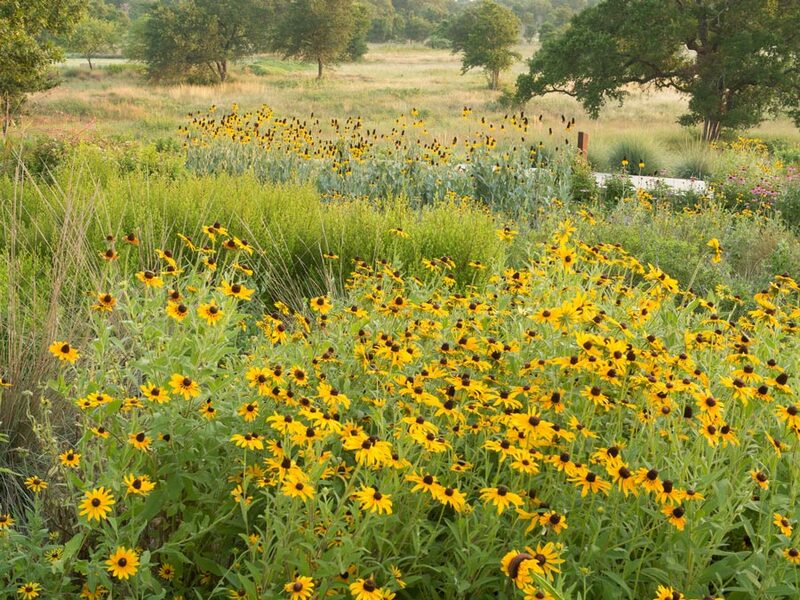 The Lady Bird Johnson Wildflower Center will teach their native plant curriculum to the first group of hundreds of fourth grade Austin ISD teachers on Saturday, March 7 as part of a new instructional agreement. Twenty AISD fourth grade teachers will attend a workshop from 9 a.m. to 4 p.m. on Saturday, March 7 at the center, a unit of The University of Texas at Austin. The workshop will be led by Flo Oxley, Wildflower Center director of education, and Kelly Ledford, the new education outreach coordinator. Last fall, the Wildflower Center signed an agreement with AISD to train the district’s 400-plus fourth grade teachers in the use and implementation of the center’s nature-based curriculum, “Exploring the Native Plant World.” The curriculum helps children learn about native Texas plants through hands-on-activities. Several dozen teachers will learn the experiential curriculum this year as part of annual training in earth sciences and could put the training into effect as early as March 9. Traditionally, district teachers provide six weeks of earth science education each year to fourth graders before fifth grade TAKS testing on the subject. The next round of teachers will be trained at the Wildflower Center on May 5 as part of the multi-year agreement. Funding for the teacher training comes partly from the Alice C. Tyler Perpetual Trust that supports Ledford’s position. Ledford will also oversee the center’s national education outreach for First Bloom, a project founded by the National Park Foundation to connect urban children with their natural surroundings by having them develop and maintain gardens in national parks.